A serial killer who died more than a decade ago is the person who decapitated the 6-year-old son of "America's Most Wanted" host John Walsh in 1981, police in Florida said Tuesday. "Who could take a 6-year-old and murder and decapitate him? Who?" an emotional John Walsh said at Tuesday's news conference. "We needed to know. We needed to know. And today we know. The not knowing has been a torture, but that journey's over." Walsh's wife, Reve, at one point placed a small photo of their son on the podium. The suspect, Ottis Toole, had twice confessed to killing the child, but later recanted. He claimed responsibility for hundreds of murders, but police determined most of the confessions were lies. 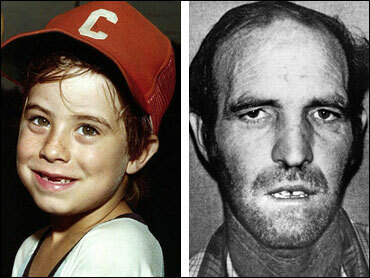 Toole's niece told the boy's father, John Walsh, her uncle confessed on his deathbed in prison that he killed Adam. Police said Toole was long the prime suspect in the case and that they had conclusively linked him the killing. They declined to be specific about their evidence and noted they had no DNA proof of the crime, but said an extensive review of the case file pointed only to Toole, as John Wash long contended. "Our agency has devoted an inordinate amount of time seeking leads to other potential perpetrators rather than emphasizing Ottis Toole as our primary suspect," said Hollywood Police Chief Chadwick Wagner. "Ottis Toole has continued to be our only real suspect." Wagner acknowledged numerous missteps in the investigation and apologized to the Walshes. "I have no doubt," John Walsh said. "I've never had any doubt." Walsh said there is no closure, only justice, reports CBS News correspondent Kelly Cobiella, and his family finally has it. Many names have been mentioned in connection to the case in the years since the killing, including serial killer Jeffrey Dahmer, but Toole's has persistently nagged detectives. John Walsh has long said he believed the drifter was responsible, saying investigators found at Toole's home in Jacksonville a pair of green shorts and a sandal similar to what Adam was wearing. The Walshes long ago derided the investigation as botched. Still, he praised the Hollywood police department for closing the case. Authorities made a series of crucial errors, losing the bloodstained carpeting in Toole's car - preventing DNA testing - and the car itself. It was a week after the boy's disappearance before the FBI got involved. What it also did, said Mount Holyoke College sociologist and criminologist Richard Moran, is make children and adults alike exponentially more afraid. "He ended up really producing a generation of cautious and afraid kids who view all adults and strangers as a threat to them and it made parents extremely paranoid about the safety of their children," Moran said.